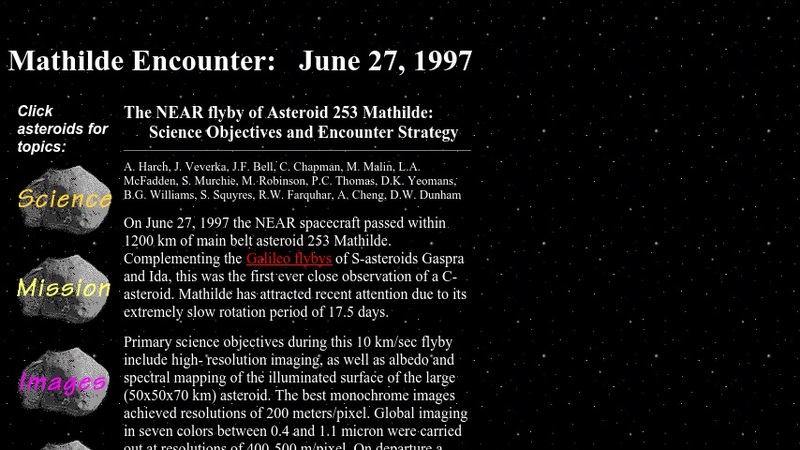 This site presents a brief account of the Near Earth Asteroid Rendezvous (NEAR) flyby of the asteroid 253 Mathilde. Materials include descriptions of the NEAR mission, pre-encounter optical navigation, science objectives, images, and animations. Links to related topics are included.